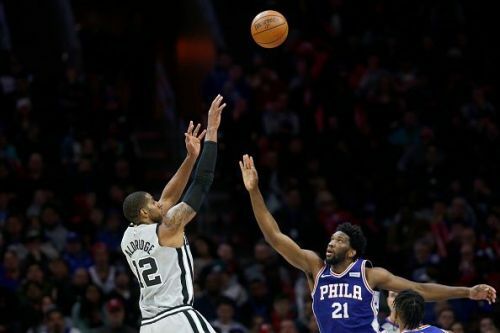 The San Antonio Spurs will host the Philadelphia 76ers tonight at the AT&T Center in San Antonio, Texas. The Spurs lost to the Chicago Bulls, whereas the 76ers beat the Cleveland Cavaliers in the previous game. The Spurs won 4 games in a row before a disappointing loss against the Chicago Bulls in their previous match. 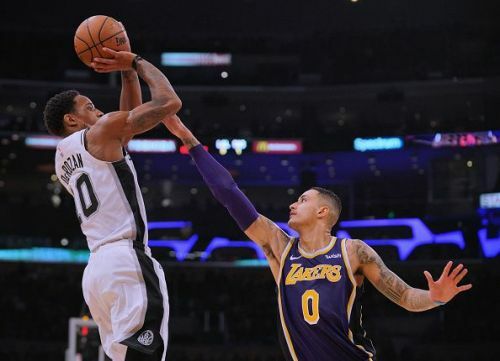 The team was led by LaMarcus Aldridge and DeMar DeRozan, who scored 29 and 21 points respectively. As a team, they are averaging 110.2 points and shooting 46.6% from the field. Defensively, they have been up and down this season, suffering a few blowouts as well. The depth in the line-up is not visible on the court and is one of the reasons for a lot of dependency on the two big stars. Spurs have won five games out of their last six and will be looking to seal another one at home. The 76ers have been above average on the road with five wins out of their previous seven. They are 20-11 for the season and proving to be strong contenders. They routed the Cavs 128-105 yesterday, with six players in double figures. The team is quite a deep line-up, unlike the Spurs. They are averaging 113.8 points and shooting 46.3% from the field, making them stand at 4th position in the Eastern Conference. 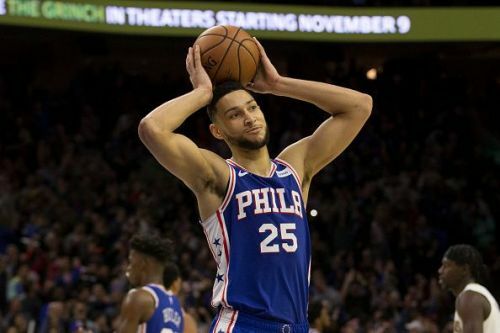 The Sixers have won eight of their last ten games and are in great form. The team-up of Joel Embiid, Ben Simmons and Jimmy Butler might be too much for the Spurs tonight.